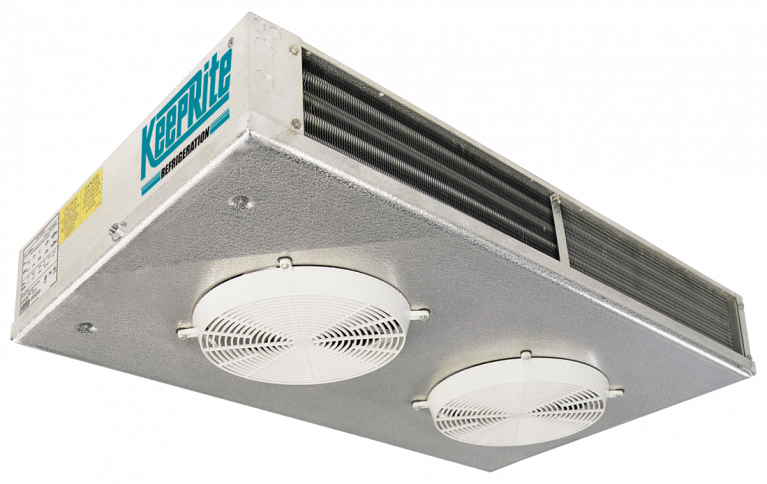 Reach-in and walk-in cooler flexibility is provided with this flush ceiling mounted unit cooler. 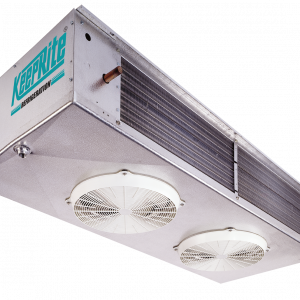 Designed with dual refrigeration coils and two-way air distribution, effectively reducing air velocities and minimizing product dehydration. Heavy gauge textured aluminum cabinet construction resists scratches/corrosion and minimizes weight for shipment, installation and service. Capacity up to 29,500 BTUH nominal (based on 10 F TD). Air enters through fan and discharges two ways out of each coil side. 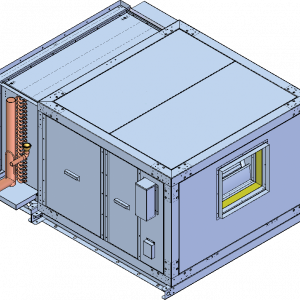 Low height compact size maximizes useable storage space. 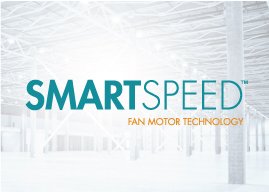 Attractive and durable high–density polyethylene fan guards. 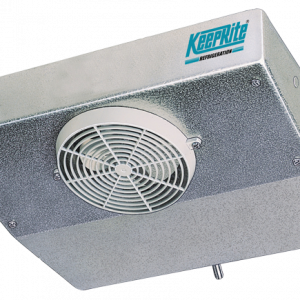 Hinged drain pan provides convenient access for cleaning. Terminal board allows for easy electrical connections. Factory mounted solenoid valve, TXV and Thermostat on air and electric defrost models.